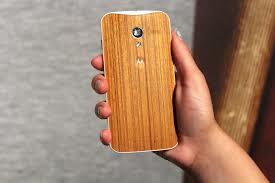 Home Smartphones Thrilling looks by Moto X+1 Will Conquer The Markets. Model number XT1097 has got killer looks which can be seen from the new leak today. It has got looks which will surely overtake samsung , nokia and other smartphones in the coming months. It seems that the company may go for snapdragon 801 instead of snapdragon 800 which was earlier rumored. Motorola is sure to conquer the Markets in the coming season with it’s new releases of the rumored Moto Maxx phablet and Moto 360.